At first glance, you’re thinking New Year’s Eve, Hoboken, Party, Champagne – simple, right? Not quite. After some deliberation and research, you’ll quickly realize that North Jersey has a plethora of NYE party options available. That’s where we come in. To start, Hoboken is undoubtedly the most desirable party destination for all types of holidays events, especially NYE! Where else in North Jersey can you think of that would be more monumental and epic to ring in the New Year? We’ve narrowed down a long list of venues to do all the work for you. No longer do you need to worry if you made the right choice for you and your friends. We’re confident in our party listings since we’ve been producing events in Hoboken for over a decade. 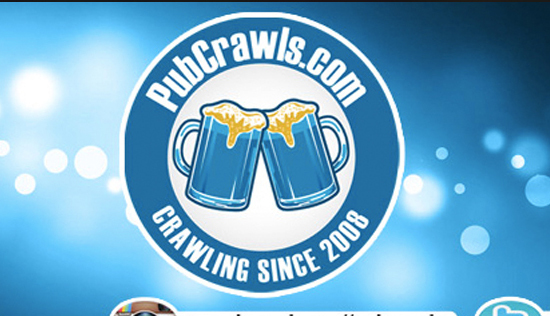 HobokenNYE.com is the top rated source for anything NYE in Hoboken for 2019! 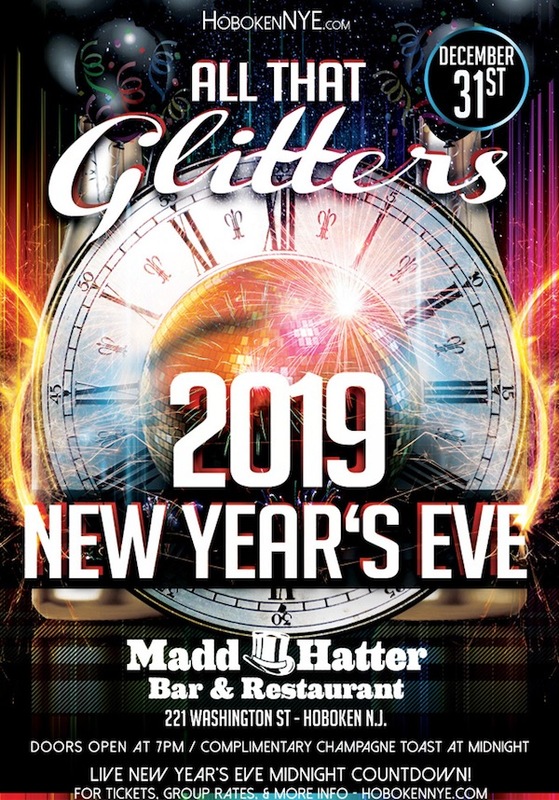 This year’s “All That Glitters” event at Madd Hatter has an open bar package and dinner/dessert buffet that rivals all others in town! All patrons will enjoy a complimentary champagne toast at midnight to bring true glitter and spark to the midnight countdown. A live DJ will be serving up the hottest tracks all night long – House, Hip-Hop, and Top 40. Take advantage of the opportunity to set your own budget and affair. This is the time of year where we reminisce about the past while also embracing the future. Take the journey with us into 2019 and let the good times roll! Live Times Square Midnight NYE Countdown with the best party crowd in Hoboken!